In 2003, President Bush asked all Americans to volunteer in the service of their country. The Citizen Corps program was created to spearhead this effort to harness the power of every individual through education, training, and volunteer service to make communities safer, stronger, and better prepared to respond to the threats of terrorism, crime, public health issues, and disasters of all kinds. CERT was selected as one of the primary programs offered to the American public to meet this challenge. The Community Emergency Response Team concept was developed and implemented by the Los Angeles City Fire Department (LAFD) in 1985. The Whittier Narrows earthquake in 1987 underscored the area-wide threat of a major disaster in California. Further, it confirmed the need for training civilians to meet their immediate needs. As a result, the LAFD created the Disaster Preparedness Division with the purpose of training citizens and private and government employees. CERT Training is designed to prepare you to help yourself, your family, and your neighbors in the event of a catastrophic disaster. Because emergency services personnel will not be able to help everyone immediately, you can make a difference by using the training to save lives and protect property. This training covers basic skills that are important to know in a disaster when emergency services are not available. With training and practice and by working as a team, you will be able to do the greatest good for the greatest number after a disaster, while protecting yourself from becoming a victim. 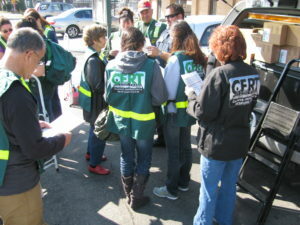 The CERT program can provide an effective first-response capability. Acting as individuals first, then later as members of teams, trained CERT volunteers can fan out within their assigned areas, extinguishing small fires, turning off natural gas inlets to damaged homes, performing light search and rescue, and rendering basic medical treatment. 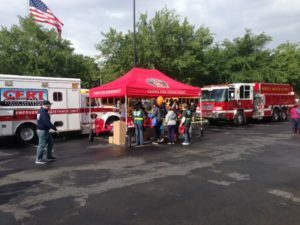 Trained volunteers also offer an important potential workforce to service organizations in nonhazardous functions such as shelter support, crowd control, and evacuation. Effective response therefore requires comprehensive planning and coordination of all who will be involved – government, volunteer groups, private businesses, schools, and community organizations. With training and information, individuals and community groups can be prepared to serve as a crucial resource capable of performing many of the emergency functions needed in the immediate post-disaster period. 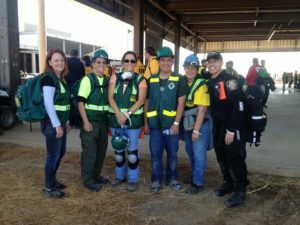 The Community Emergency Response Team (CERT) program is designed to help communities prepare for effective disaster response through training and planning. 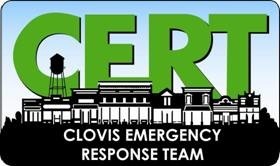 For information on the next CERT Basic Course, call 559-324-2201.